"I found out about BorrowMyDoggy maybe a couple of years ago, but only got round to signing up over the summer after finding out I knew a couple of people who used it and were very happy. I wish I'd signed up way earlier! I thought it would be a great way to learn more about owning a dog, as my family has never had one, but mainly I wanted to join just to get to spend time with dogs because they always put you in a great mood!" Buschka and Ellen's borrower, Alex. "We rescued two dogs from Spain, whom we love, but who also have long legs. Promises from certain other members of the family about dog walking didn't quite work out, and at times we wondered if perhaps we'd bitten off more than we could chew. Enter BorrowMyDoggy. Yes, the dogs get more walking than they would otherwise. But we were completely unprepared for the other lovely stuff that happens because of BorrowMyDoggy. Buschka and Ellen now have many more humans in their lives… in fact Buschka has decided that if the doorbell rings, it's probably someone come to see her. It's been great for their confidence. And we have met some doggy borrowers that are now friends, and have had the unexpected pleasure of seeing how happy our dogs can make them. 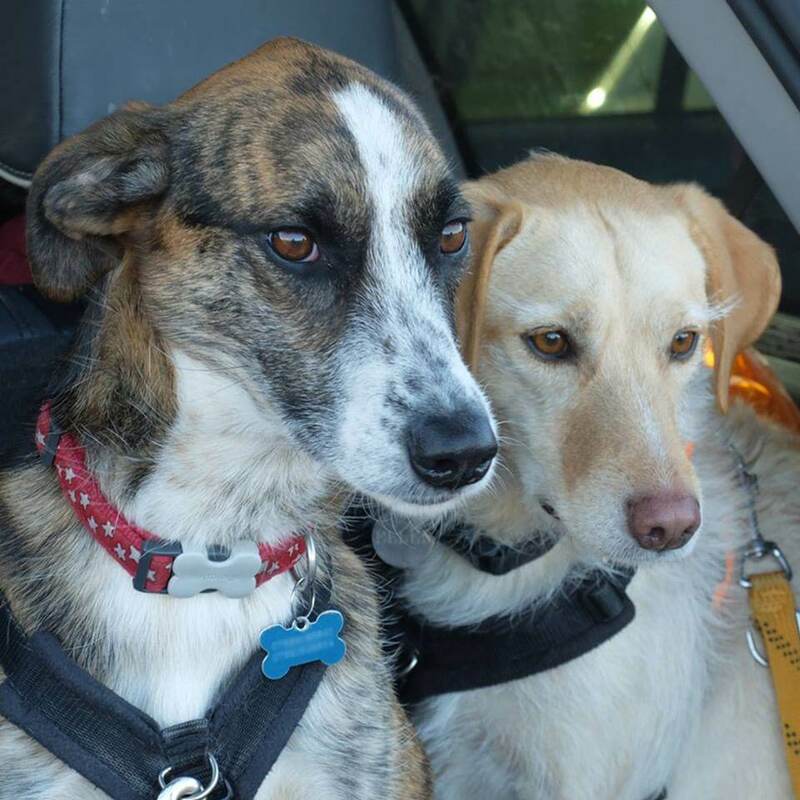 We have also had the chance to explain a bit to our borrowers about where Buschka and Ellen come from, and that they'd probably not be around for any borrowing at all if it weren't for the amazing charities in Spain and the UK that save abandoned Spanish hunting dogs. Here's one that needs urgent support right now: https://www.youcaring.com/hopeforpodencos-1091834.